This attractive town, just north of Paris in Picardy, makes a very good day or overnight stay from France's capital. It's easy to get to by car or by train, and it has a wonderful, little known and large château full of furniture and paintings beloved by Napoleon to visit. Plus there's a wonderful park behind the château for long walks and leisurely picnics. There's also a very good transport museum for car enthusiasts and a surprisingly absorbing museum of miniature historic figurines engaged in constant warfare. Once you've exhausted the sights of Compiègne, there's the forest of Compiègne to explore with its villages, lakes, and valleys. One of the great moments of French, and European, history is commemorated at the Armistice Museum, in the north part of the forest. Twinned with Bury St. Edmunds, in the U.K., and Raleigh, North Carolina, in the U.S.A. There are several hotels in the center of town, all very close to the Railway station. The 3-star hotel, ideally placed just opposite the river, is comfortably decorated with good-sized rooms. Near the station, this large hotel is conveniently located, comfortable and makes a good base. Though on the main road, rooms are double glazed for noise reduction. On the outskirts of Compiègne, the renovated 19th-century house is delightful, with spacious bedrooms, good bathrooms and an excellent restaurant (see below). The two-storied building has only 12 rooms and 3 suites, individually decorated and with views over parkland. The family-run Rive Gauche is locally known for top cooking using local ingredients. The well stocked wine cellar is an added bonus at this classically decorated restaurant. Menus 38-48 euros. Alc around 75 euros per person. Closed first two weeks in August, Saturday lunch and Sunday dinner. Near the station and the river, this local institution is best known for its seafood cooking. An open kitchen adds to the theater. Menu 25 euros. Alc from 30 euros per person. Attached to the Hotel Les Beaux-Arts, we ate here after getting to the hotel relatively late. The décor is good bistro style, as is the cooking which is very good value. Menus 18-28 euros. Alc from 25 euros per person. Leafy setting for this excellent hotel (see above) whose restaurant has a well-deserved local reputation. Classic, simple cooking delivers the goods. Menus 26 to 75 euros. Alc from 50 euros. 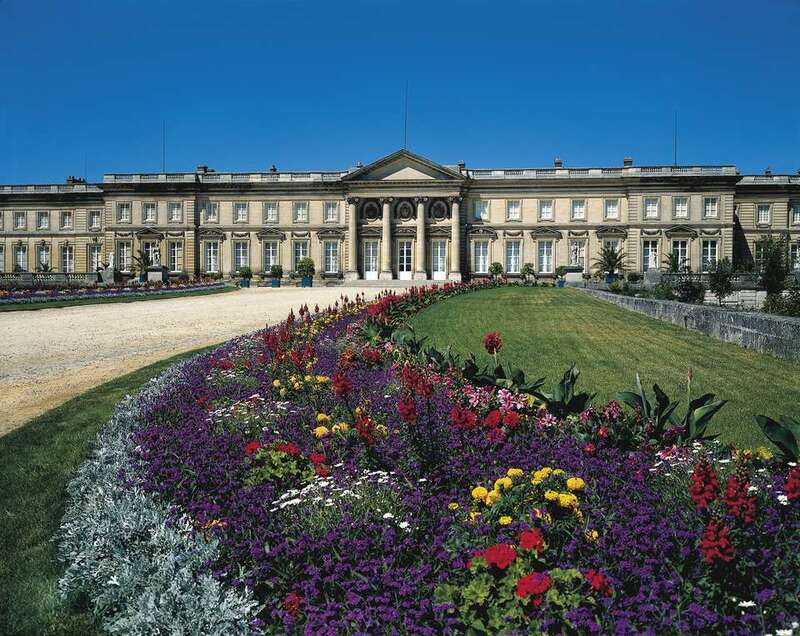 Compiègne is best known for the Palace, a neo-classical building in the middle of the town, where are plenty of other attractions in this delightful small town on the banks of the river Oise. Every July Compiègne hosts a festival in and around the town – at the chateau of Pierrefonds, in the theater and in the forest itself. September 1st marks the day when, in 1944, Compiègne was liberated. There's always an impressive ceremony, with bands, a commemoration at the main war memorial in town and a procession to the Hotel de Ville.